The night before last we had an electical storm that kept us awake here on the north side of Chicago. 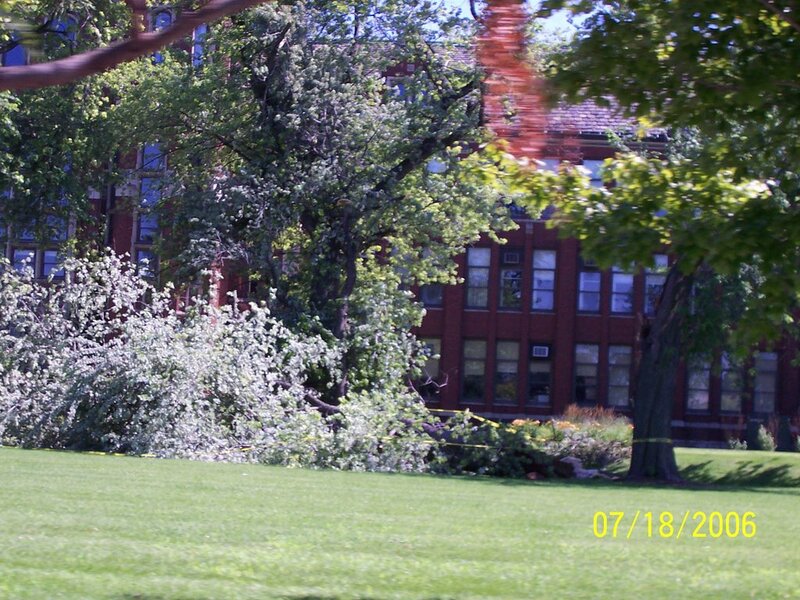 We saw a tree down at the Lane Tech College Prep School on Addison Street. The high yesterday was 82 but with low humidity and a nice northerly breeze. It felt like we should have been going to a college football game more than a Cubs game.